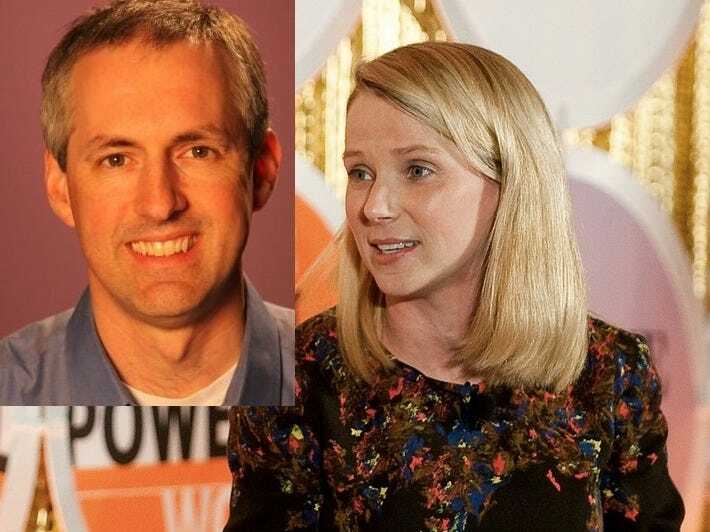 A couple of weeks ago, Yahoo CEO Marissa Mayer promoted SVP of advertising and data platforms, Scott Burke.Mayer put Burke in charge of all advertising technology at Yahoo. She also elevated him to her senior staff, where he will report directly to her. After Kara Swisher of All Things D broke the news, we reached out to a number of Burke’s former colleagues, ex-Yahoos still in the industry. Most of the people we talked to believe Mayer made a mistake, though one applauded the hire. One former Yahoo executive said the promotion was a “bizarre” move on Mayer’s part. This source said Burke is responsible for three failures at Yahoo in particular. That’s a lot of jargon that might not make sense to most people. So let’s go over each of these “disasters” from a broader perspective. In 2007, Yahoo spent $680 million buying the Right Media Exchange (RMX). At the time RMX was the world’s leading advertising exchange, a place where publishers could sell inventory and advertiser could buy it. Google, which had acquired its own ad tech firm, DoubleClick, didn’t even have an advertising exchange to compete with RMX. Six years later, that acquisition is widely regarded as a failure. All of RMX’s senior executives are out of the company. Meanwhile, the DoubleClick team is still at Google, where they built a new ad exchange that dominates the industry. In 2008, Yahoo announced – in very grand fashion – that it would reinvent the way online advertising was sold across the Internet. It said it had “intentions” to build a platform, called AMP!, that all online publishers and advertisers could use to buy and sell ad inventory wherever, whenever. AMP! eventually became APT, a product with much lower ambitions and little use. Yahoo makes almost all of its money selling ads. “Programmatic ad buying” is a kind of a catch-all phrase meant to describe a modern world where advertisers can set criteria for the kinds of consumers they want to reach, and set a price they are willing to pay to reach them. In this world, publishers accept offers from the highest bidders for their ad inventory. One advantage of programmatic ad-buying is that selling ads this way doesn’t require a big sales force. All of this happens through a computer, in real time, and across the entire Internet. “Programmatic ad buying” is already big and it’s going to get even bigger – online and off. What’s going on with video is that online publishers, like Yahoo, have discovered that advertisers are willing to pay much higher rates to run video ads than they are to run banner ads. So, these publishers have, over the past couple years, starting producing a lot more video. The future, obviously, is in combining these trends. Publishers will produce videos, and, sell their commercial slots programmatic-ally. Pretty obvious vision, right? Lots of people think so. But under Burke, Yahoo hasn’t managed to make any progress down that road. Another former colleague of Burke’s tells us Yahoo’s failure to launch RMX, AMP/APT, or programmatic video ad-selling is not a reflection of his character. “Behind the scenes, all of the things like creating standards required for scalable solutions have been screwed up. By the way, we did manage to find one self-described “Scott Burke fan” who approves of Mayer’s promoting him. We emailed the views of our sources to Yahoo PR and asked for comment. The company declined to comment on internal matters.